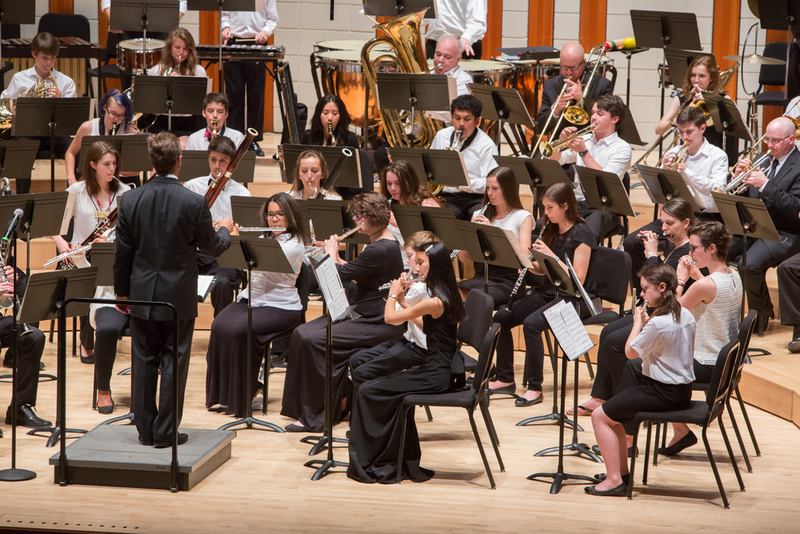 YMA Band students get to learn and perform some of the world’s great symphonic band music. Even students with limited experience will find success in our Band program, where you’ll rehearse and perform alongside counselors and faculty members in a fun, supportive group. As long as you can read music and have a cursory knowledge of your instrument, you’ll be in good hands. If you have more experience, you might play in both band and orchestra or our new jazz intensive, providing a more rigorous, challenging body of music. Because you’ll be in a group of musicians with wide-ranging abilities, you’ll experience mentoring at all levels and a unique camaraderie. After each morning’s band rehearsal, you’ll spend time in small group sectionals and/or chamber groups, you’ll get some individual practice time, and you can request private lessons throughout the camp session to refine your skills and deepen your understanding of music. Band students perform at the informal Saturday Visitors' Day show and the Final Performance. You may also opt to participate in student recitals throughout the session. Auditions on the first day help faculty choose appropriate music for the session and determine your placement in band and orchestra.